Home Real Estate For Buyers First Time Home Buyers 3 Crucial Questions Most Home Buyers Don’t Know the Answer To…DO YOU? What is the maximum Back-End DTI Ratio (Debt To Income) allowed? 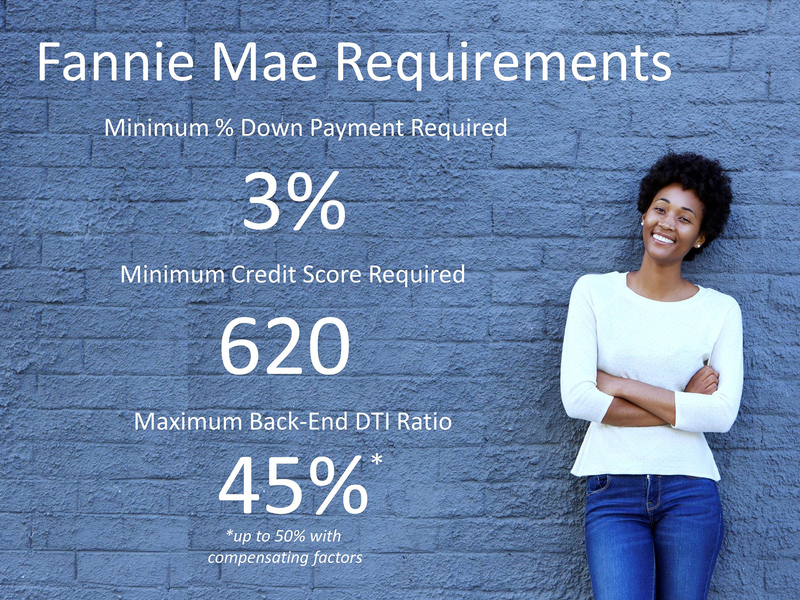 A survey conducted by Fannie Mae revealed startling information: most Americans don’t know the answer to these three crucially important questions. The percentages are quite disturbing but can explain why so many people believe they are not eligible to purchase a home whether it is a first home or a trade-up home. Well, it’s more of a “what”. Fannie Mae is the shorthand for the Federal National Mortgage Association (FNMA, or “Fannie Mae”). “We are a leading source of financing for mortgage lenders, providing access to affordable mortgage financing in all markets at all times. Our financing makes sustainable homeownership and workforce rental housing a reality for millions of Americans. This post refers only to the Fannie Mae loan programs. For a $200,000 home, that’s $6,000. Simple math! But that’s just the down payment – this does NOT cover the other expenses, such as closing costs. Make sure you budget for those too! 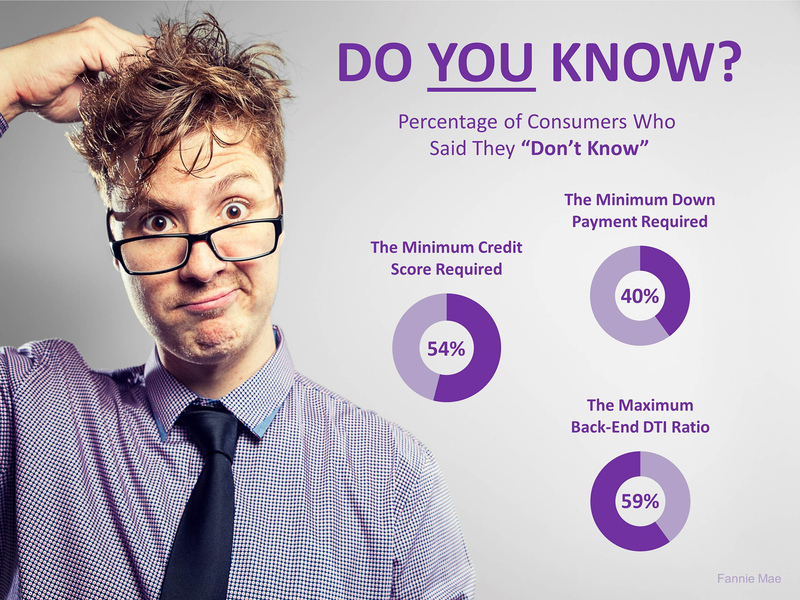 If you’re not sure of your current FICO score, get a (proper!) free credit report. If you have any issues, fix them now. Once you start the loan application process, you absolutely should NOT do anything to affect your credit score. I’ll explain the concept, if not the strict legal definition. If you make $60,000 a year, that’s $5,000 a month. Your monthly housing debt (total!) needs to under 45% of that number, or $2,250. That’s the approximate monthly payment for a $450,000 house. A 3% down payment would be $13,500. And that *50% exception? If you’re that close, I’ll connect you with someone to work through it. Contact me today and I’ll connect you with the right person and company for your situation.